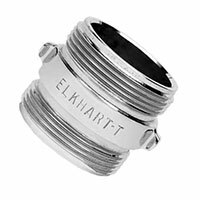 ElkhartSales.com is your complete source for Elkhart Brass's Adapters. Our knowledgeable sales staff is here to help you find the right Adapter to fit the job. Contact us today at 727-835-0657 or Toll Free 800-761-4298. Elkhart Brass's complete line of Adapters available through mdi. Elkhart has developed a wide assortment of standardized adapters to meet the varied needs of the fire industry. 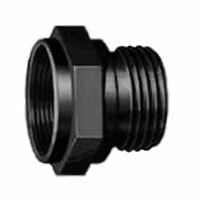 This extensive selection includes thread adapters to suit any need: male or female; a suction adapter with built-in strainer, NHT, NPT or custom order; or even for a universal adapter. You can find the perfect fit here.